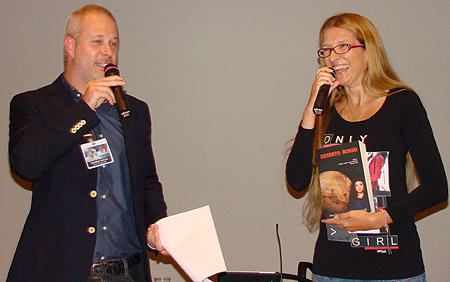 In October 2018 I had the opportunity to participate in the second edition of the event titled “Signs and Voices of Other Worlds” organised in the headquarters of ALTEC in Turin. 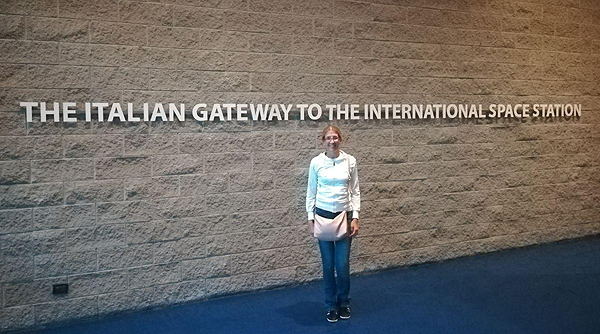 It was a fantastic experience during which I was busy for two days in what is defined The Italian Gateway to the International Space Station, as stated in the huge inscription at the entrance, and allowed me to meet many interesting people, as well as talk about my work. The event itself, the one open to the public, lasted only one day, 14 October, but we (my partner and I), as exhibitors, also went to the headquarters of ALTEC the day before to prepare our booth. It was the first time I attended an event like this. It was nice to arrange all my science-fiction books (eight titles in several copies) on a table, along with other promotional stuff, but also to view in advance the scale model exhibition, which included really extraordinary works of art. In addition to this, we had the pleasure of making a short private visit to the factory together with Paolo Navone, who led us to see, among other things, the control room, the replica of a module that is part of the ISS and the pool used for astronaut training, and who guided us, explaining the role of ALTEC in the construction of the space station and other international space missions. Among these is that of the ESA IVX mini shuttle, to which Paolo himself participated. The day ended in a beautiful dinner together with some people who had organised the event (belonging to CRAL ALTEC and Centro Modellistico Torinese ) and others who would participate. In addition to enjoying the company of Marco Ambrosio (who, together with Paolo, invited me to participate in the event) and his wife, we met some of the modellers, among whom I cannot avoid to mention Sandro Degiani, who led the conversation among the people seated next to him (myself included), and Professor Giancarlo Genta, here in the role of author of science fiction novels. The legendary Giovanni Mongini, called Vanni, Italian author and great expert in science fiction, joined the group, who I had met a few hours earlier at the factory and whom I would find myself in the booth across mine the next day. And then came the day of the event. The first two hours were the easiest part. 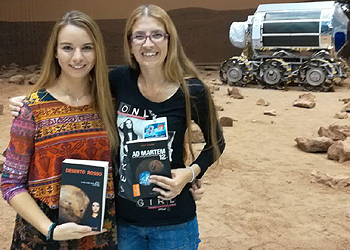 I had the opportunity to present my “Red Desert” series in the auditorium as part of the speech called “Female Mars”, moderated by Maurizio Maschio. Along with me there was Giulia Bassani, who presented her novel “Ad Martem 12” (and was also my neighbour at the exhibition). 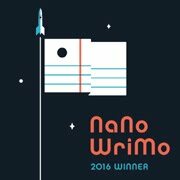 Both were asked how we came into contact with science fiction and what prompted us to start writing it. I said how I grew up among ET, Back to the Future, Star Wars (hence my nickname Anakina), the Visitors and many other films and TV series that have brought me closer to the genre and how it stimulated my imagination. I had many stories in my mind and at a certain point I realised that the only way to make them real was to write them down. Immediately after the presentation, I returned to my booth, where I welcomed some of the people who had listened to me in the auditorium and wanted to buy one of my books. As I said earlier, however, the difficult part would come later. Starting from 11.30 a.m. new visitors entered (they were divided into groups of up to 200 people for two hours each, to avoid overcrowding) who did not know who I was. It was up to me to draw their attention. 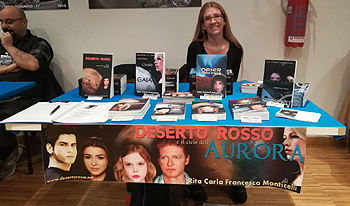 I had with me a lot of promotional postcards of “Red Desert” to offer visitors and I used them to induce people to stop at my booth, so that I could explain them something about my books. Keep in mind that I gave away 54 postcards and for most of them I stopped a person so that I could tell them the beginning of the story of Anna Persson and the structure of the Aurora Saga. I repeated it so many times that my other neighbour, Roberto Azzara, learned it by heart! I must say that my effort was repaid and I managed to sell more than half the books I had with me. And so I also avoided having to send them back to Sardinia by post. Throughout the day (the event lasted from 9.30 a.m. to 8 p.m.) I had the opportunity to talk with a lot of people and among these I found myself in front of an unsuspecting reader, who, only after seeing the covers, recognised my books and realised he had in front of him the author of the e-books on his mobile phone. It’s the first time that I happen to come across one of my readers by chance and it was really nice to meet him. That’s not all. A colleague of mine from Turin also came to meet me: Luca Rossi, independent author of science fiction and fantasy, who is my friend on Facebook since 2012 and who I finally managed to meet in person. 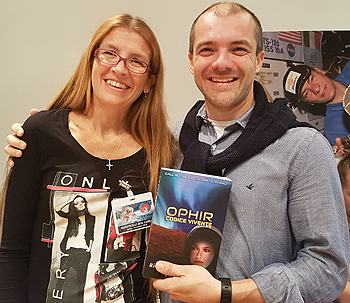 I was also delighted to meet Dario Tonani (also a science fiction writer and long time friend on Facebook) and his wife Giusy again, whom I had already met at Sassari Comics & Games 2015. In all that chitchat and after taking some photos with my booth’s neighbours (Giulia, Roberto and Vanni, which I mentioned before, and Luigi Petruzzelli of Edizioni della Vigna) the hours flew, interspersed with some short breaks to admire and photograph the scale models exposed, and go to observe the Sun and then the Moon at the telescope, thanks to the observation posts set up by Celestia Taurinorum. In the end, tired but happy, we left. The next day, waiting to take the flight that would take us back to Cagliari, at the Caselle Airport we came across the actual ESA mini shuttle XVI, exposed in the check-in area. A souvenir photo with the spacecraft was the worthy closure of this beautiful weekend. I take this opportunity to thank once again Marco Ambrosio and Paolo Navone, who invited me to participate in this event. Thank you so much! 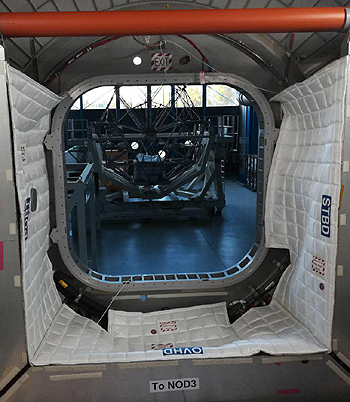 Photos (from above): during my speech together with Maurizio Maschio, my booth, entrance of ALTEC, view from inside the replica of a module of the ISS, with Luca Rossi, on Mars (more or less) with Giulia Bassani. You can see more photos, including those of many scale models on display, on my Facebook page at this link.